Have you ever experienced feelings such desire, envy, fear, anger, frustration… or simply confusion? Meditation is a practice to calm the fluctuations of our “monkey mind”. Once the body is still and the mind is clear, it becomes easier to discern what is real from illusion, to make the right choices when required, to free ourself from stress, anxiety, and suffering. This donation class offers tools to go inward, to connect deeper to one’s self, body-breath-mind. This class is a slower spin on our Vinyasa Flow classes. Chill Vinyasa is a great class for beginners, and for anyone needing a slower pace due to injury or time away from practice. All levels are welcome. Modifications will be given. “Vinyasa” translates to the linking of body movement with breath. In our Vinyasa classes, expect a workout of the core and legs while allowing for the mind to slow, and the breath to connect with your movements. This class is great for people who are looking for a more active practice. Come to this class to be challenged and develop strength and flexibility. All levels are welcome. Modifications will be given. 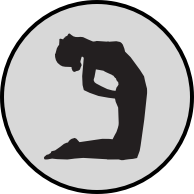 Yin-Yasa is a great mixture of our Vinyasa Flow and Yin Yoga classes. The class begins with a more active, flowing practice, connecting your movements with your breath. 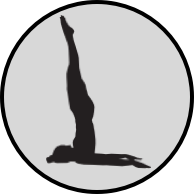 After we've worked up a sweat and have loosened up our muscles, the class switches to a Yin- style, in which the deeper connective tissues are targeted, and postures are held for longer periods of time. All levels are welcome. 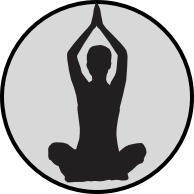 Seated poses held for longer periods of time make up the majority of a Yin class. We do this to allow subtle stretching of connective tissues particularly around the joints, with the aim of increasing circulation and improved flexibility. In this class, you will slow your pace, hold your postures, and learn the importance of turning inward. All levels are welcome. Come experience this meditative practice. Hot Yin Yoga is essentially identical to Yin Yoga, with the addition of infrared heaters. Hot Yin focuses on deep stretching in mainly seated postures. The heaters allow the body to totally relax into each post in order to maintain deep subtle stretching for longer periods of time. Our Hot Yoga classes are much like our Vinyasa Flow classes with the added bonus of infrared heaters. The heated room helps warm up muscles to prevent injury. Stretches will come easier and quicker, and your body detoxes through all the sweat! All levels are welcome. Come to this class for a great workout. Come experience a flowing and athletic style of yoga. In this class, we work our way through the Ashtanga Half Primary Series on Monday and Wednesdays and the Full Primary Series on Friday. These series are a set sequence of postures designed to generate heat and bring strength and flexibility to the body. We use Vinyasas as transitions between each and every pose and will gladly help you modify your practice. All levels are welcome. Our donation based Sound Healing helps to relax the body and promote wellness through the sound of crystal bowls being played. Each crystal bowl has a unique tone designed to align the energy points within the body and bring about a feeling of deep relaxation and stillness. Sound healing has been used to reduce anxiety, stress, pain, and insomnia.